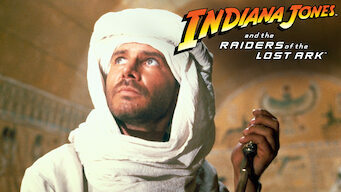 How to watch Indiana Jones and the Raiders of the Lost Ark (1981) on Netflix France! Sorry, Indiana Jones and the Raiders of the Lost Ark is not available on French Netflix, but you can unlock it right now in France and start watching! With a few simple steps you can change your Netflix region to a country like Pakistan and start watching Pakistani Netflix, which includes Indiana Jones and the Raiders of the Lost Ark. We'll keep checking Netflix France for Indiana Jones and the Raiders of the Lost Ark, and this page will be updated with any changes. Indiana Jones and the Raiders of the Lost Ark is not available in France BUT it can be unlocked and viewed! When Indiana Jones is hired by the government to locate the legendary Ark of the Covenant, he finds himself up against the entire Nazi regime. To stop Hitler, he'll take on a devious rival, an old flame, an army of Nazis and snakes. Lots of snakes. There is a way to watch Indiana Jones and the Raiders of the Lost Ark in France, even though it isn't currently available on Netflix locally. What you need is a system that lets you change your Netflix country. With a few simple steps you can be watching Indiana Jones and the Raiders of the Lost Ark and thousands of other titles! Watch "Indiana Jones and the Raiders of the Lost Ark"